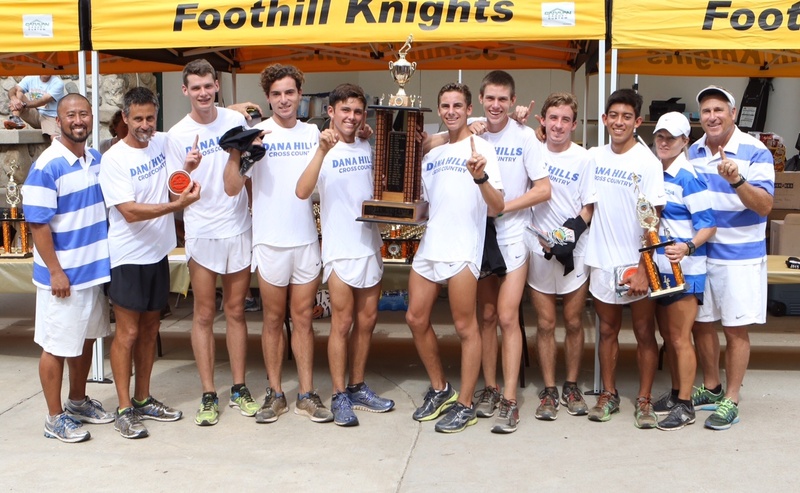 Continuing their upward trend that has been building this season, the Dana Hills boys’ cross-country team captured its meet-record seventh Orange County Championship title at Irvine Regional Park on Oct. 17. No program in Orange County history has more meet titles at the event than the Dolphins. The Dolphins piled in four runners inside the top-10 of the prestigious race, led by senior Mason Coppi’s second-place finish. Coppi clocked in at 14:40 and was quickly joined at the finish line by his teammates. Sophomore Jack Landgraf (14:47.8) placed fourth, senior Jake Ogden (14:48.2) placed sixth, junior Brandon Hough (15:08.9) took 10th and John Turner (15:16.2) placed 16th to finish out the Dolphins scoring rotation. The Dolphins had an overall scoring time gap of 36 seconds. Colin Stein and Thomas Wilfert finished 18th and 23rd, respectively. The Dolphins’ overall team time at the meet was 74:51.1, the second-fastest time in meet history. The Dana Hills girls cross-country team also put on an impressive display of pack running to earn a second-place finish. The Dolphins top three finishers, Sienna Serrao, Lauren Soto and Kathryn Kaloroumakis, all clocked in within three seconds of each other. Serrao, Soto and Kaloroumakis placed 18th, 19th and 20th, respectively. The Dolphins were edged 100-122 by Trabuco Hills, which placed first. Alyssa White and Jennifer Daly placed 34th and 38th, respectively, to round out the scoring for Dana Hills. Both the boys and girls cross country teams will compete in the Mt. SAC Invitational on Oct. 24. The Dana Hills boys water polo team currently has the inside track to reclaim their South Coast League title. The Dolphins (16-3, 4-0 league) went through the first round of league competition with relative ease, outscoring their four opponents by a combined 62-24 margin. The closest the Dolphins came to a tough match was in a 12-10 victory over El Toro on Sept. 29. Following that close contest, Dana Hills has won six straight matches. Dana Hills, the No. 2 ranked team in CIF-SS Division 2, has also made their presence felt outside of league play. The Dolphins toppled No. 7 Mira Costa 12-5 on Oct. 10 and edged out a 10-9 win over No. 6 Los Osos on Oct. 17. The Dolphins will travel to the Bay Area to play Acalanes on Oct. 23. A pivotal match against El Toro is set for Oct. 27. The Dana Hills girls’ volleyball team stayed in the hunt for a South Coast League title with a three-set sweep of Tesoro on Oct. 20. 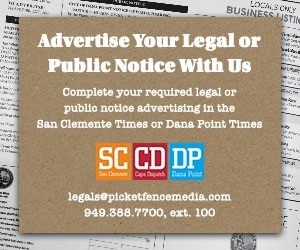 The Dolphins (5-14, 3-2) now sit in a tie for second place in league with San Clemente (10-13, 3-2). San Juan Hills (17-5, 4-2) is in first place but has played one more league contest than both the Dolphins and the Tritons. Dana Hills was led by senior outside hitter Ayla Fresenius in the victory over Tesoro. Fresenius led the team with 22 kills and recorded six blocks. Dana Hills was set to play against Capistrano Valley on Oct. 22. Results were not available at press time. The Dolphins have two crucial league matches left on their schedule against San Clemente and San Juan Hills on Oct. 28 and Nov. 2, respectively. The Dana Hills football team will host Tesoro, the third-ranked team in the CIF-SS West Valley Division, on Oct. 23. Tesoro (6-2, 1-1) is coming off a tough loss to Mission Viejo. The Titans held a 13-point lead over the Diablos last week but were brushed aside by a big second-half effort from the reigning league champions. The Dolphins (0-7, 0-1) are still searching for the first win of the season.